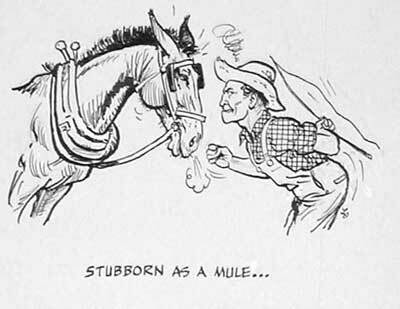 How Stubborn Are We ? Really ? Life seems to tell us; here is a situation you need to face for your own developpement, and yet, most of the time, we will try to avoid the lesson. Why? Because it’s too damned hard! The curious thing about this is: the lesson we try to avoid seems to come back to us in many unexpected ways. Somehow, we can’t escape it. We have to meet the challenge. I know some people (actually quite a lot of them) who move from relationship to relationship or from job to new job, only to discover after a while, the same problems they were experiencing in the previous relationship or old job. It seems to me that what they are trying to avoid comes back to them in another place and with different actors. Personally, I start too many new projects and I don’t finish all of them. I know it, I’m aware of this but somehow, it doesn’t seem to change. I have to admit I can’t do it alone. When I face this kind of situation, I try to find a coach, a mentor or a personal trainer to make sure I am accountable to someone. When we focus on the moment and accept to face what we have to, it can be difficult, but it is one of the best ways to grow, to outgrow the challenge. If we do what WE MUST do when WE HAVE TO do it, the day will come when we will do what WE WANT to do WHEN WE WANT TO do it. The sooner we understand this concept and we put it in practice, the more time we will save to do other activities that we really enjoy.